Lenovo was expected to unleash the Lenovo Z5s triple camera phone on Dec. 6. However, there was an announcement on the smartphone yesterday. Today, the Lenovo Group VP Chang Cheng has released a new poster to confirm that the Lenovo Z5s will be unleashed on Dec. 18. The Lenovo Mobile Weibo account has shared an image to showcase its gradient colour appeal and triple rear cameras. Cheng has posted two teasers on Weibo, both claiming that the Lenovo Z5s will launch on December 18 in China. The posters confirm that the smartphone will sport a triple camera setup at the back aligned vertically. This is different from the Lenovo Z5 Pro launched recently, which sports a dual camera setup at the back situated in the center, and dual front sensors, which are hidden behind the slider mechanism. The Lenovo Z5s teasers reveal little else of the device, apart from its back-camera design. As mentioned, Cheng had earlier suggested on Weibo that the Lenovo Z5s would launch on December 6. The Lenovo Z5s will be unveiled at the Lenovo’s global headquarters in China on Dec. 18. The launch poster has teased the triple camera setup of the smartphone. 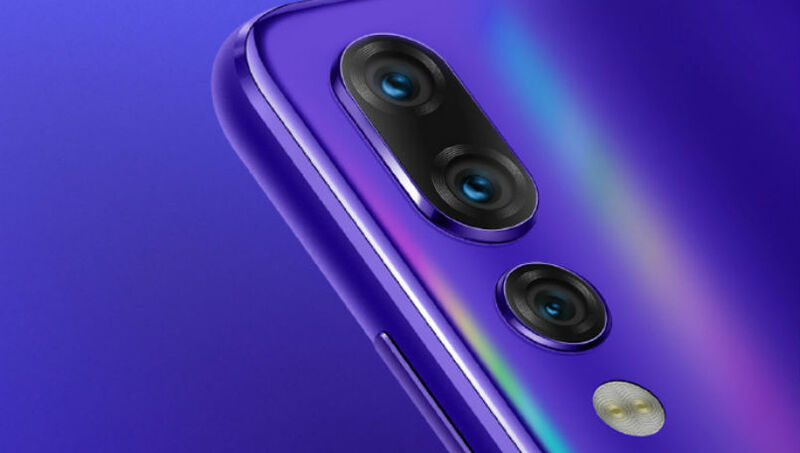 The other image reveals the marvelous gradient colour glass rear of the phone with vertically arranged triple rear cameras. The design of the triple camera system resembles with Huawei P20 Pro. There is a gap between the dual camera sensors and the third lens. An LED flash is placed below the triple camera setup. As of this writing, there is no information available on the configurations of the triple lenses. There was a TENAA listing for Lenovo L78071 that had surfaced briefly last month and in the listing the smartphone was shown to feature a triple camera setup. This Lenovo L78071 was later confirmed by Cheng to be the Lenovo Z5s that is now launching on December 18. The TENAA listing suggests that the smartphone will sport a 6.3-inch waterdrop-shaped notch display, 156.7x74.5x7.8mm dimensions, a triple camera setup, a metal finish on the back, and a rear fingerprint sensor as well.